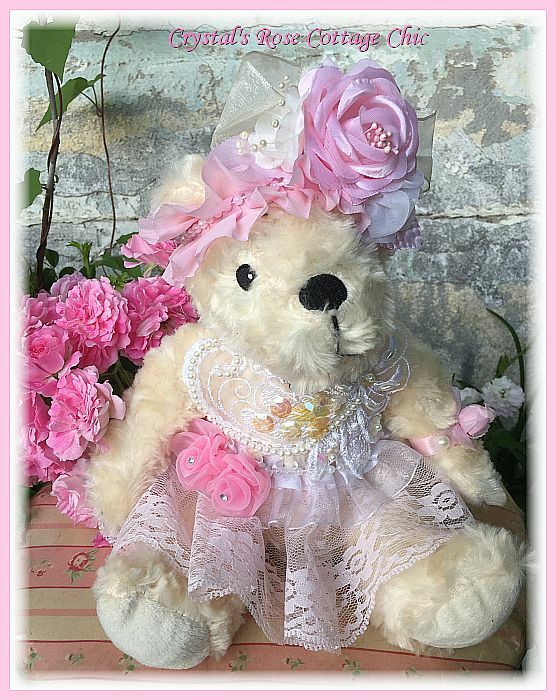 This is just the sweetest, Shabby Cottage Chic bear. She has lots of pretty, pink lace and ruffles. She has a lovely lace applique with iridescent sequins and a pink gem. 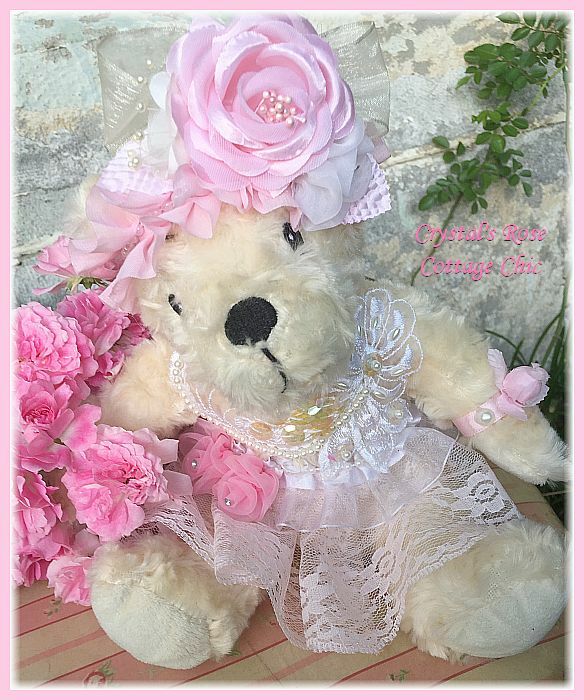 Her head is adorned in beauty with a pink ruffle crown with white flowers and a beautiful, big, pink rose! She can be posed to sit up straight or lean over to the side for added charm. She measures 10 inches from her sitting down postion to the top of her pretty, pink rose. 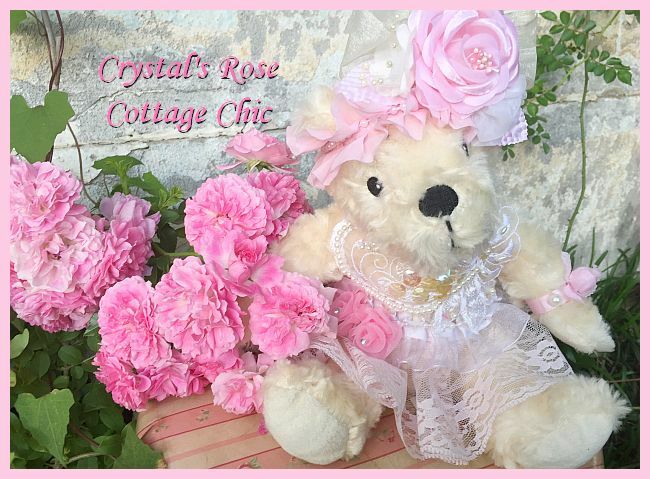 Sure to please the bear lover or Shabby Chic/Rose Cottage collector alike. One of kind.